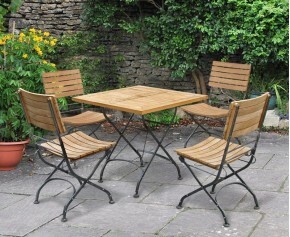 A wonderful addition, this round garden gateleg table and chairs set represents brilliant value for money. Combining the benefits of practicality and style, this handy round garden gateleg table and chairs set can be easily retrieved from storage, what's more the leaves effortlessly fold out allowing you to accommodate extra guests should you need to. 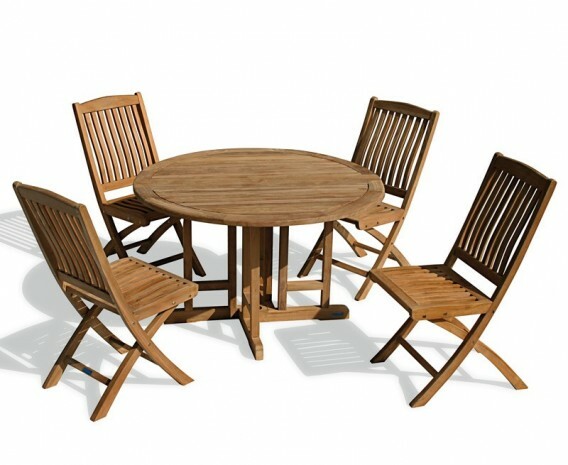 Finely sanded to a 'smooth to the touch' finish, this outdoor patio drop leaf table and folding chairs set has been modestly sized to suit most garden settings, allowing you to utilise this dining set without sacrificing a great deal of space. 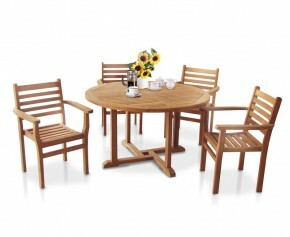 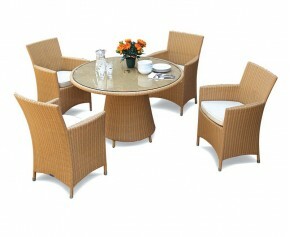 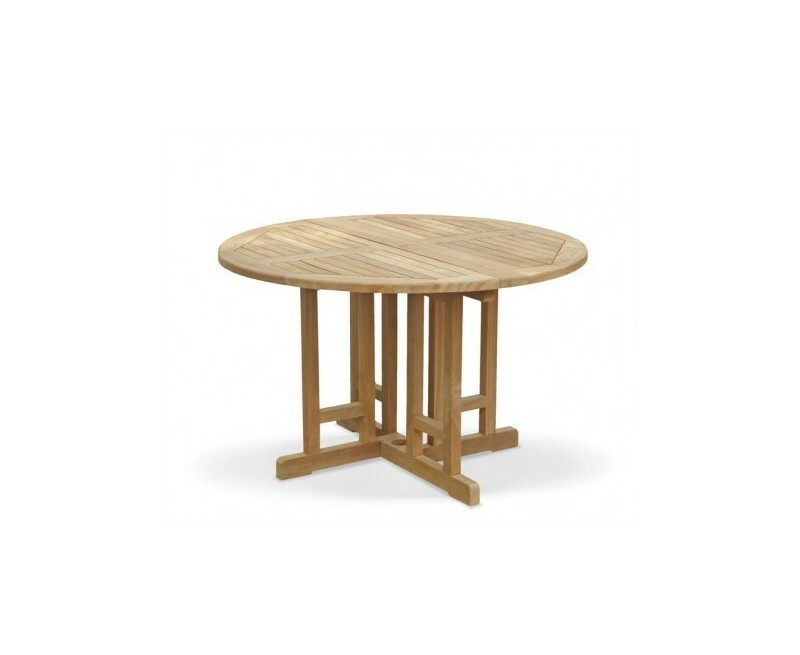 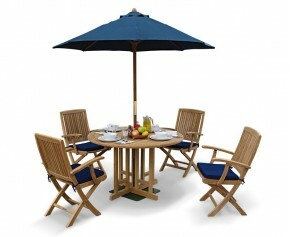 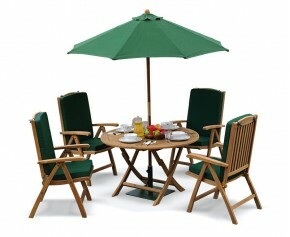 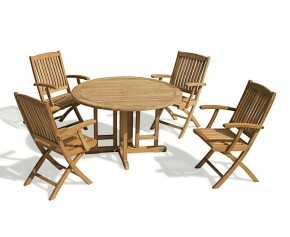 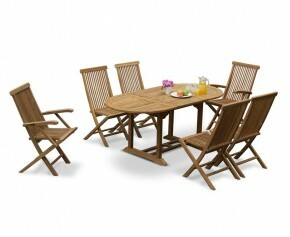 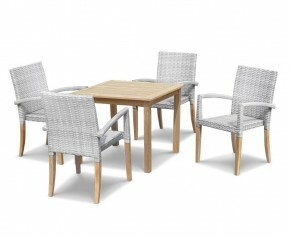 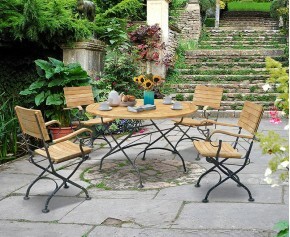 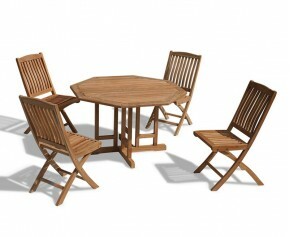 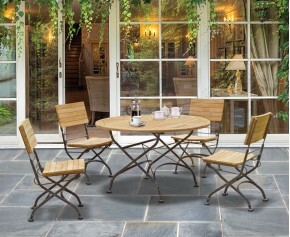 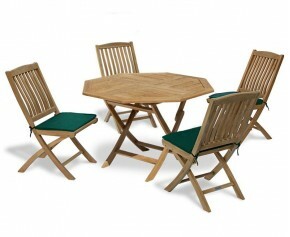 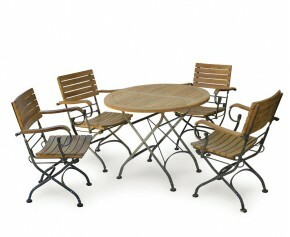 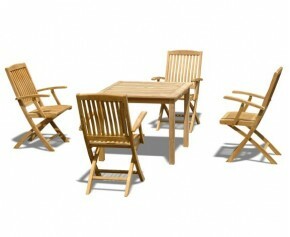 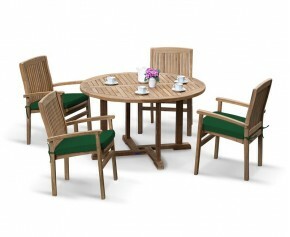 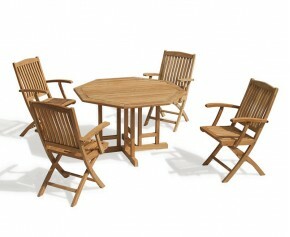 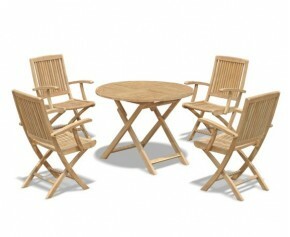 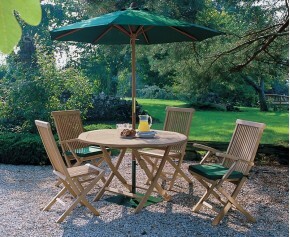 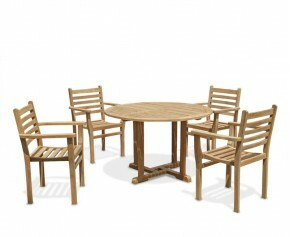 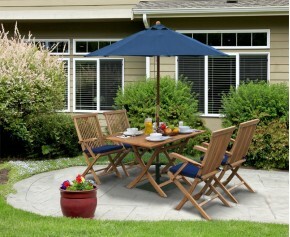 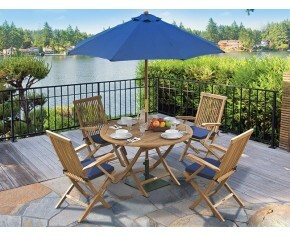 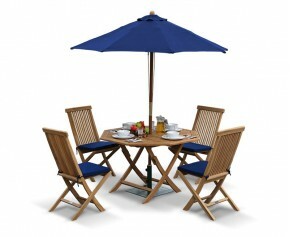 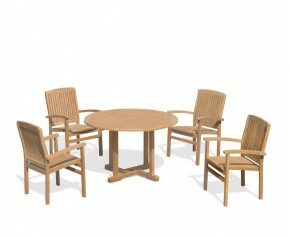 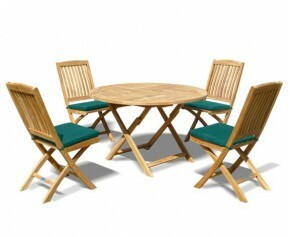 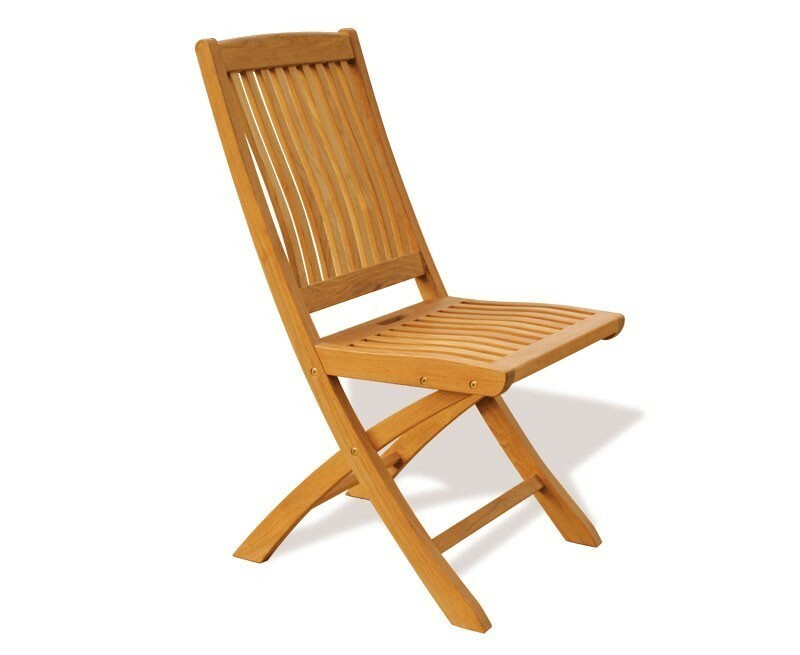 This round garden gateleg table and chairs set will be delivered pre-assembled for your immediate satisfaction. 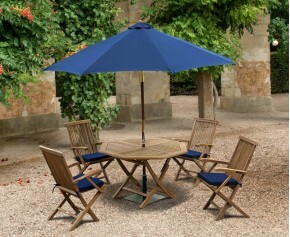 Set does not include parasol. 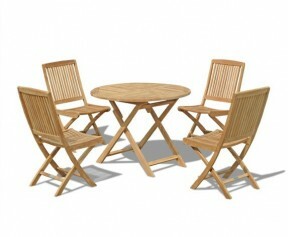 - Table and chairs fold flat for space-saving convenience.